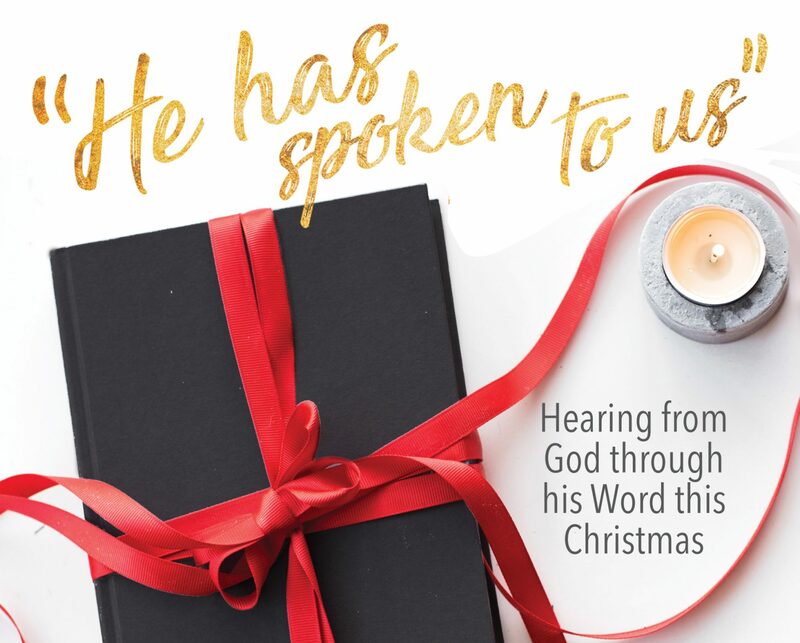 Reading Greek and Hebrew online – I Commend Joy! After re:Greek was pulled off the web because of copyright problems, I had trouble finding a place on the web to do Greek work in preparing for sermons and teaching. But now my prayers have been answered! 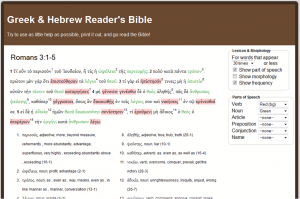 The Greek and Hebrew Reader’s Bible is a tremendous, minimalistic help in reading the New Testament. It is minimalistic in that you can click on or off whatever helps you want it to show or hide, including pop-up windows that define and parse the word, something I really liked at re:Greek. So depending on your proficiency you can use as much or as little as you want. John Dyer explains the purpose and use of this experiment at his blog, don’t eat the fruit. His post and his blog seem like a worthwhile place to consider the impact of technology on the Christian. P.S. You can change the Scripture text that you are looking at by merely clicking or highlighting the reference in the upper left corner and typing in a new reference. Took me a minute to figure that out!